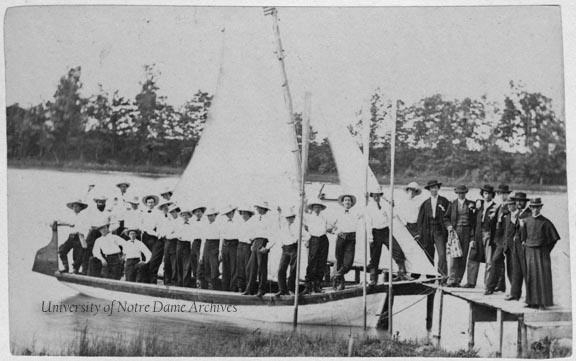 Notre Dame students have always found the lakes prime summer recreation spots for swimming, boating, and fishing. 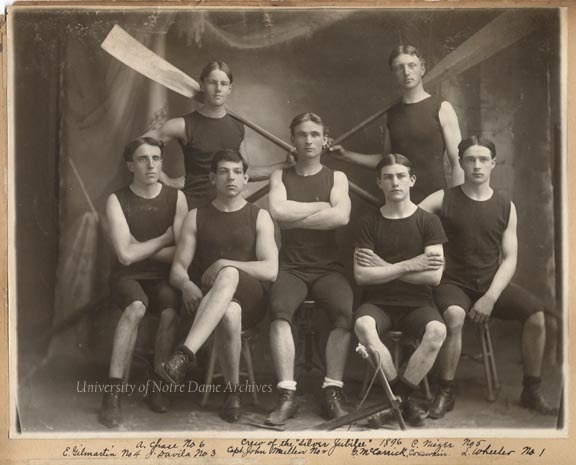 The St. Joseph’s Boating Club organized on April 21, 1867, “for the physical, as well as the mental education of its members, both the art of Rowing and Sailing” [Annual Catalog for the Academic Year 1866-1867, page 21]. Rev. Auguste Lemonnier, CSC, nephew of Rev. 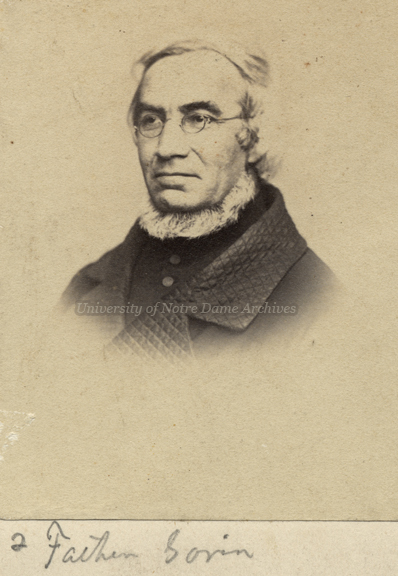 Edward Sorin and University President 1872-1874, was director of the Club. When Lemonnier tragically died in 1874 at the age of 35, the Boating Club was renamed in his honor. Boating Club on the lake, c1867-1874. Rev. Auguste Lemonnier, CSC, is at the far right. 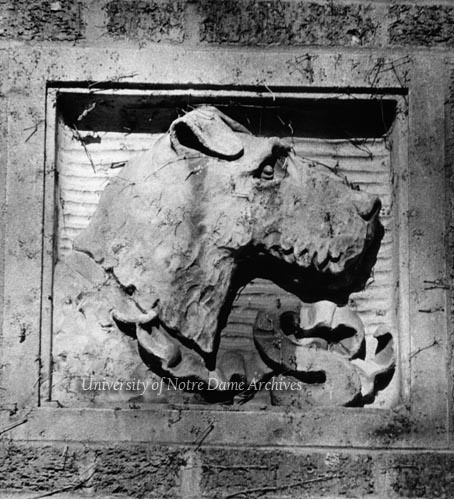 Notre Dame garnered a number of boats in the second half of the 19th century, with such names as Nina (staff boat), Pinta, Santa Maria, Hiawatha, Minnehaha, Montmorency, Yosemite, Evangeline, and the Golden Jubilee and Silver Jubilee. 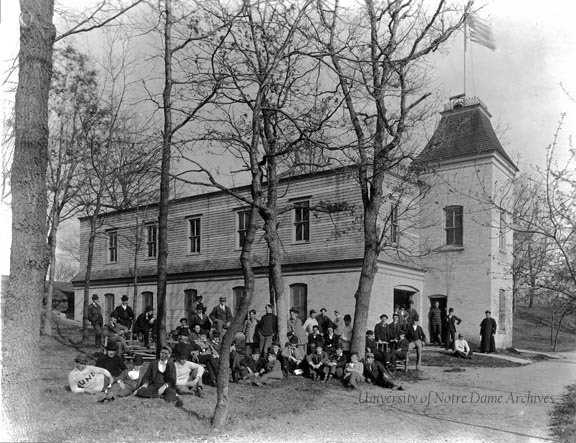 The popularity of the Boating Club quickly made it necessary for the construction of a Boat House to store all of the equipment and provide for lounge space for the members of the Boating Club. While probably not the first, the Boat House which still exists today was built in 1873. The Boating Club would occasionally take trips up to Niles, Michigan, on the St. Joseph River. 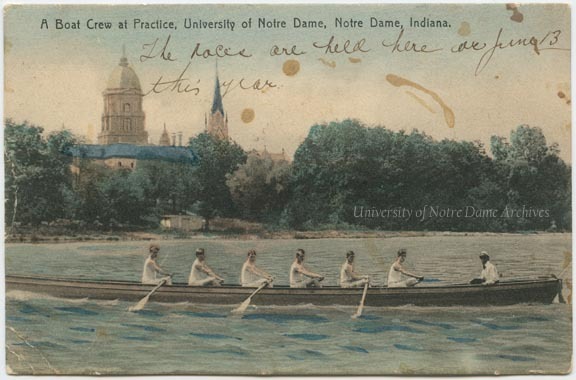 Crews raced at least twice a year on St. Joseph’s Lake — for the Feast of St. Edward and for Commencement. 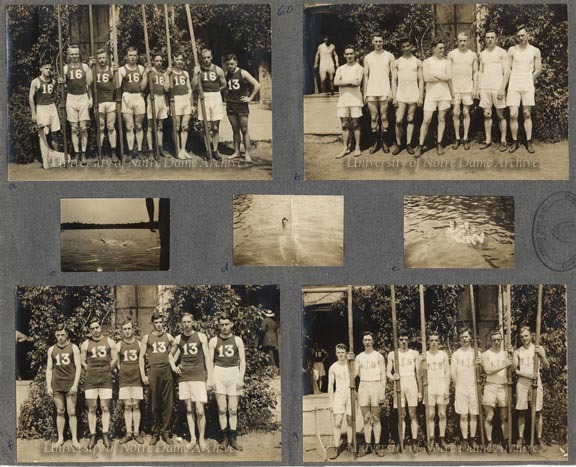 Freshman (Class of 1916, upper-left), Sophomore (Class of 1915, lower-right), Junior (Class of 1914, upper-right), and Senior (Class of 1913, lower-left) Class Crew teams who competed in the 1913 Commencement races. 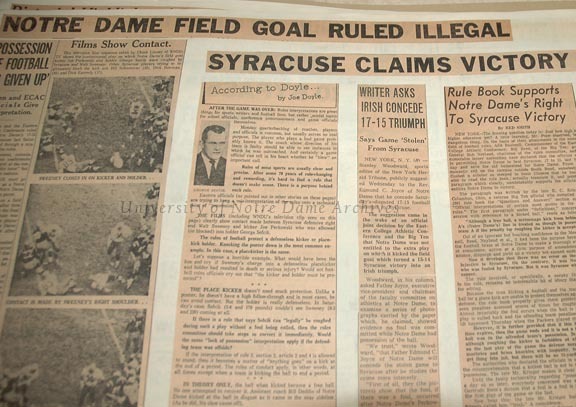 The Freshmen defeated the Sophomores, and the Juniors, with Knute Rockne on the team, defeated the Seniors. 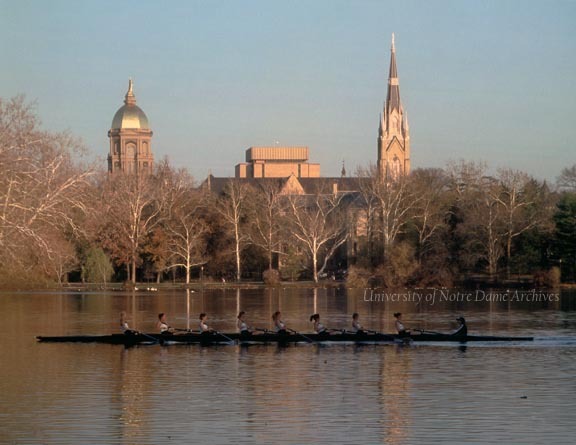 Competitive crews clubs at Notre Dame continue to exist today and Women’s Rowing became a varsity sport in 1996.